Ses İşlemcileri 4 adet ürün var. RF-BLD Balanced Line Driver The RF-BLD is a 2-channel line driver that boosts low source unit signals or drives amplifiers located a long distance to the back of a vehicle. The BLD features Single Ended or Balanced Differential mode to eliminate noise. 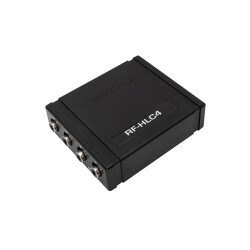 RFPEQU Universal PEQ Remote & Line Driver The RFPEQU is a 2-channel universal PEQ (Punch EQ) with built-in line driver that provides bass boost to any aftermarket audio system. 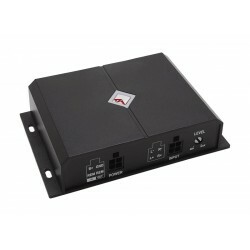 RF-HLC4 4-Channel High-to-Low Converter Use the RF-HLC4 high-to-low signal converter to connect 4-channel amplifiers to radios without RCA outputs. 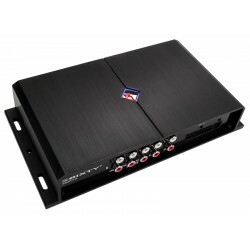 3SIXTY.3 8-Channel Interactive Signal Processor w/ 248 Band Parametric EQ The 3Sixty.3 is the ultimate signal processor that can function as an OEM integration “black box" or a complete surround sound DSP. 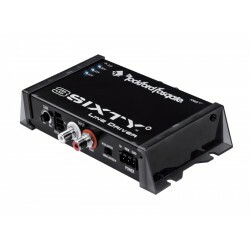 Featuring 8-channels of interactive signal processing, it can handle the most complex system design.